Passion, tradition and respect for the planet. This is the recipe of our small cooperative with offices in Pontelatone within the province of Caserta. 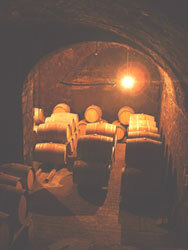 I Viticoltori del Casavecchia was born only a few years ago but we have a long history of viticulture on our shoulders. We are 40 associates, all working from small vineyards, who have put a communal factor on the wine-making process for more than a decade — sometimes even with pre phylloxera vines dating back from the beginning of the century, reared with the local method of the espalier and now converted to largely qualitative criteria. Our vines are grown in single-row plots and are always conducted in a rigorous and traditional manner, without any mechanization. Terre del Volturno, "Erta dei Ciliegi"